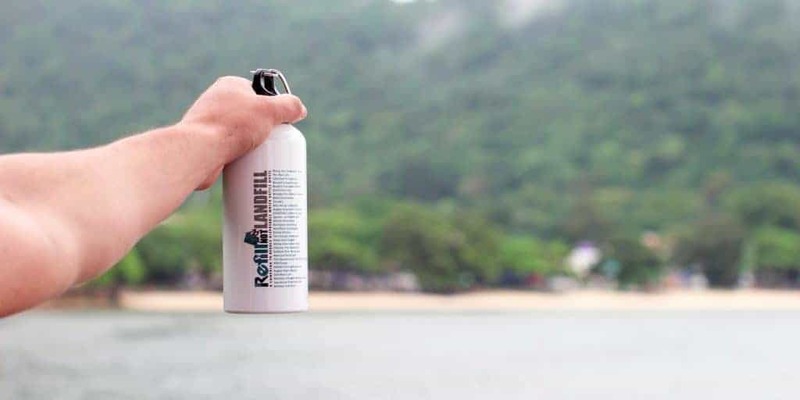 RefillNotLandfill aims to cut down on the millions of plastic water bottles discarded throughout South-East Asia each year by offering an alternative: reusable stainless steel and aluminium bottles. Our informal consortium hopes to revolutionise the way that tourists consume water in a country where few plastic containers are recycled, with most ending up in mountainous landfills or piling up beside roads, choking the regions waterways and littering azure fields with waste. 4.8 million visitors travelled to Cambodia in 2015, staying for an average of 6.8 days. Each consumed around 2 litres of water per day. This means 10 million half-litre bottles could have been used (and thrown away) in just one month. 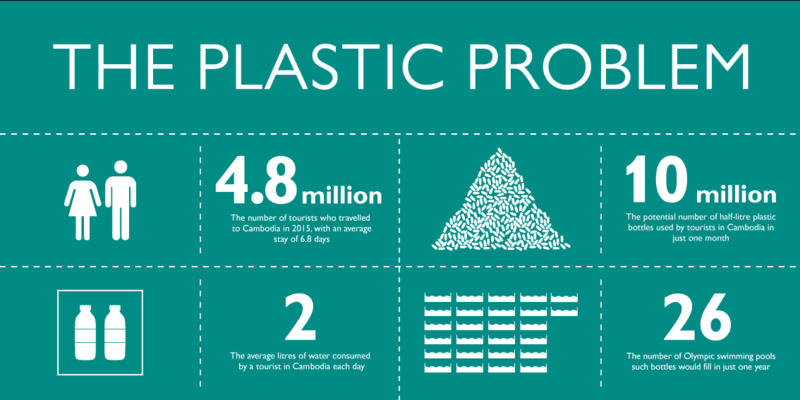 or 26 Olympic-sized swimming pools full of plastic per year. Each of our RefillNotLandfill metal flasks lasts up to four years (or more). Bottles can be refilled free of charge at designated refill points across the country, are branded to your specifications, and distributed in the way that best suits your business or organisation. Since our 2016 launch, the campaign has received orders for more than 120,000 bottles from a diverse range of restaurants, hotels, cafés and NGOs, schools… This represents a staggering potential saving of 175 million plastic bottles over the next four years. We are passionate about working together to develop a greener, more beautiful country and planet for the benefit of those living and those yet to be born. We would love your organisation to become a part of our vision.